The Work and Pensions Secretary said the changes will ensure parents do not "assume" taxpayers will pick up the cost of deciding to have more children. It comes after Jeremy Hunt drew criticism by suggesting the changes will help make Britons work as hard as the Chinese and amid reports of a Cabinet split over whether the Chancellor should scale back his tax credit reforms to lessen the impact on poor families. A further fall in the number of households where no one is in work shows the success of tax credits, according to unions. Official figures revealed that the proportion of households without work has fallen from 20.9% in 1996 to 15.8%. Around 3.3 million households were classed as workless between April and June this year, compared with 3.9 million in the same period in 1996, reported the Office for National Statistics (ONS). Britain can force EU migrants to prove they are here legally before claiming benefits, a European court ruled today in a major boost for David Cameron. 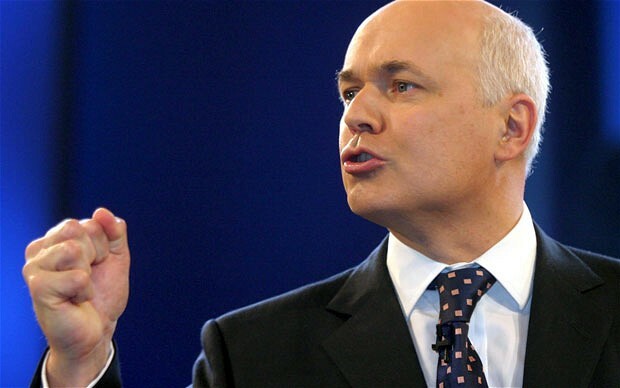 The Prime Minister and Work and Pensions Secretary Iain Duncan Smith want to make it harder for migrants to claim welfare, but faced a legal challenge from the European Commission over existing rules which apply to foreigners but not Britons. More vulnerable people, like Michael O’Sullivan, will die if the Department for Work and Pensions (DWP) does not row back on its work capability assessments. The tragic case of Michael O’Sullivan, who killed himself after being found fit for work by the government’s disability assessors, has briefly cast a welcome spotlight on the utter disgrace that is the work capability assessment, in relation to people with mental health problems. Energy Secretary Amber Rudd has ruled out any change to the electricity transmission arrangements which mean consumers in the Highlands and islands pay higher prices. The Tory Cabinet minister said she accepted it was “difficult” for customers based in the region – which has some of the highest levels of fuel poverty in the UK – who pay 2p more per unit for their power. But she confirmed there was “no plan” to take steps to alter the existing situation.